Rick Ramirez missed his shot at country music stardom, settling for the life of a two bit talent agent. But when he hears young JoLeena Grant sing, he knows the Big Time is finally within reach. He just has to convince JoLeena's suspicious father and his own jaded wife that despite his own failures, Rick's the guy to guide JoLeena to a star-studded Nashville career. Is fame and fortune worth a job? A marriage? Loss of innocence? Is the pot of gold at the end of his rainbow really worth the cost? What damage will be done before Rick takes a look inside at the man he's become? 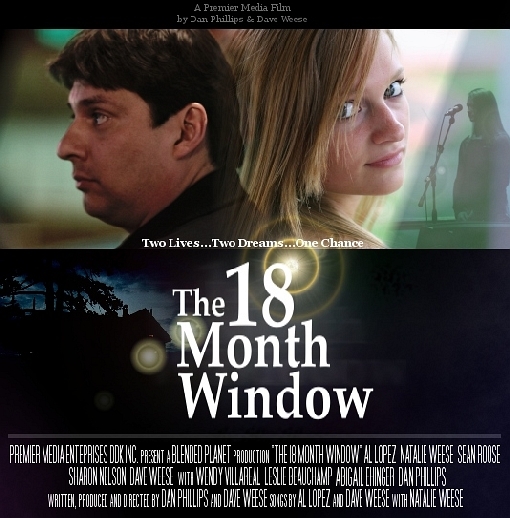 The 18 Month Window is an honest look at what makes us tick - the drives and longings that provide us with hope for a future we can look forward to, and the sorting out process that so many of us experience.